I just got home from the most amazing fall getaway to Vermont with C! My mom grew up in Vermont so I've always wanted to see her home town, plus, what basic white girl doesn't want to do all the fall things? 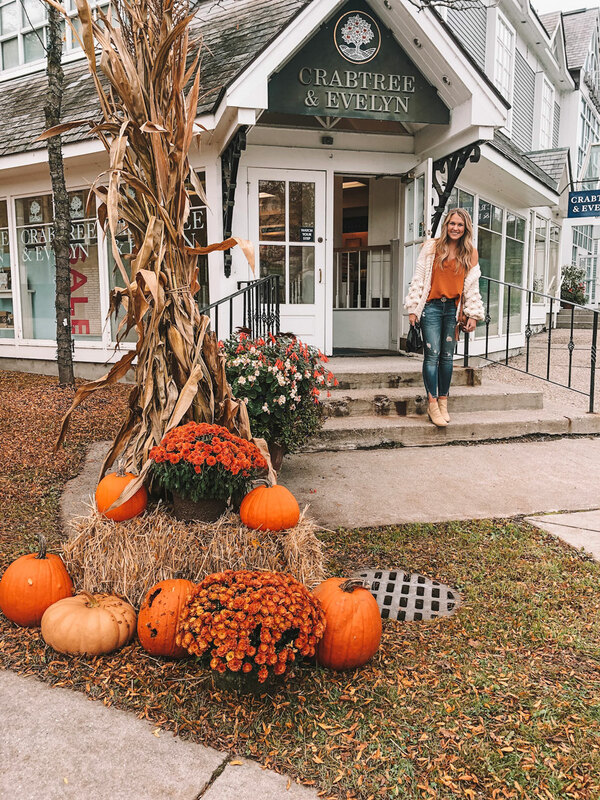 Vermont is the perfect autumn destination - if the foliage isn't enough of an enticer, the pumpkin patches, corn mazes, apple cider and maple flavored things are sure to convince you! 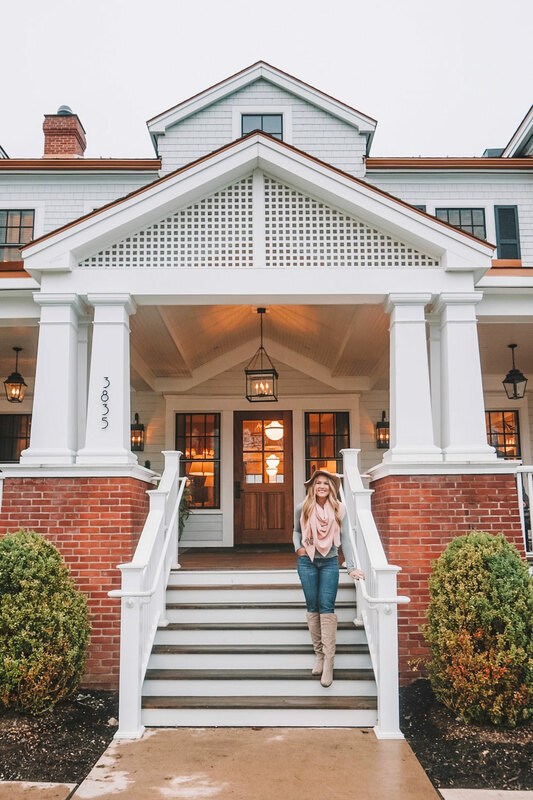 I'll be doing a full guide to Vermont next week but today I wanted to share my experience at the Kimpton Taconic Hotel in Manchester. 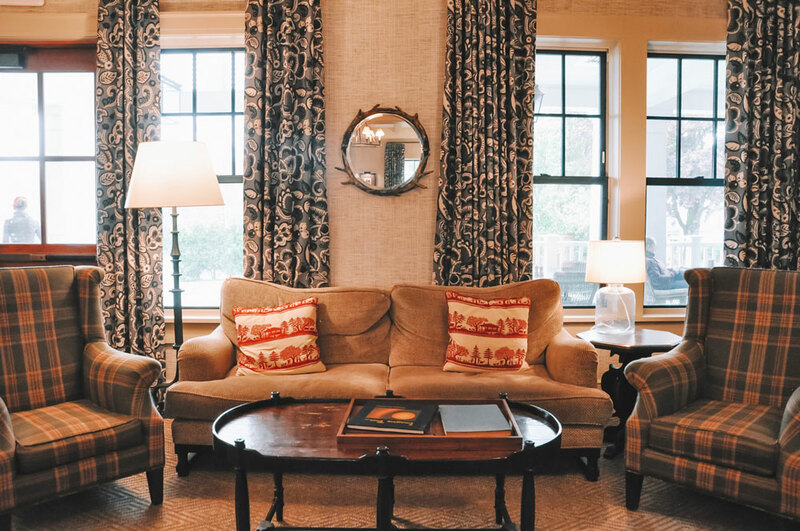 Before we dive in, I just want to say that the Kimpton Taconic truly wowed me! I've stayed at a lot of hotels this year throughout all of our travels (and C's family is in the hotel business) so I know a good hotel when I see one. 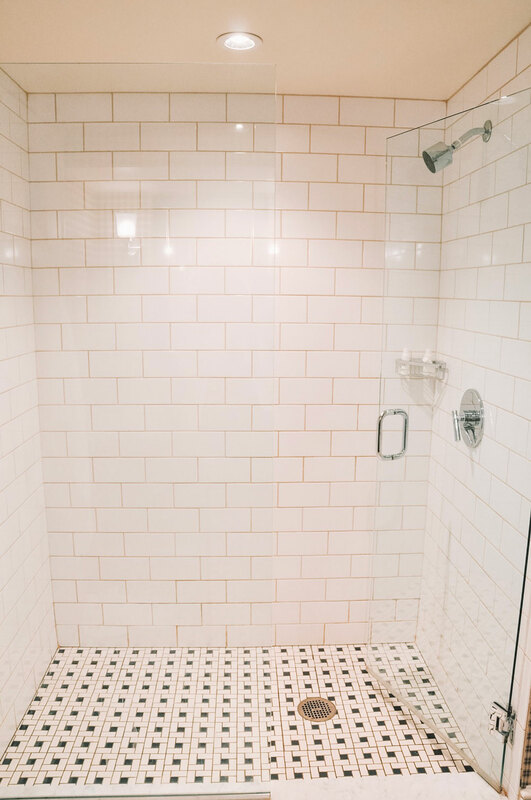 This property was top notch, the staff was so accommodating and, what really matters most (let's be real here), dogs of all sizes are welcome and the bed and shower were both superb! I'm already wanting to plan a trip back to Manchester next fall and of course, the Taconic will be my home base. We stayed in a Deluxe King room and were pleasantly surprised at how spacious it was! There was more than enough floor space to lay out our suitcases and not trip over each other. There was even enough room to do a quick hotel room workout if you wanted - they provide a yoga mat in every room! 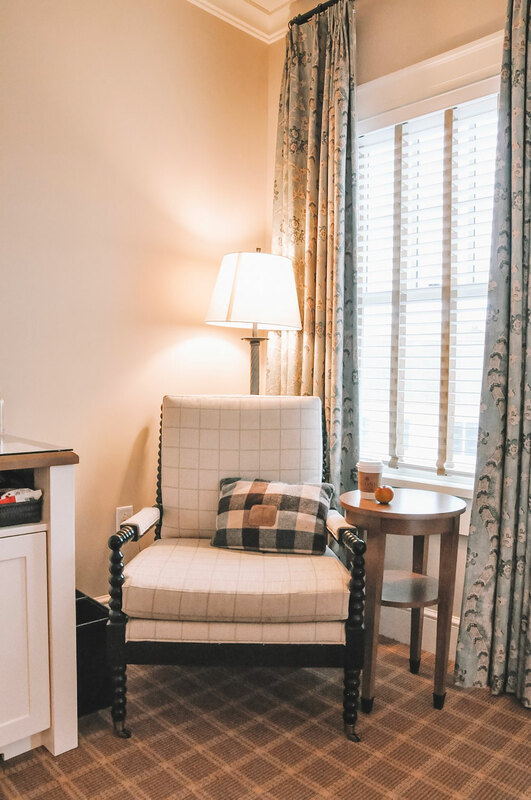 In addition to the yoga mat, they also provided cozy robes, plenty of towels, outlets on the nightstands to easily charge your devices, a full-length mirror, a stocked mini-fridge and a tray of yummy snacks! Yes, please. They also have spa services and toiletries available on request, should you forget anything. As I said above, the shower was top notch and the bed was SO comfy....I seriously had to pry myself out of it! 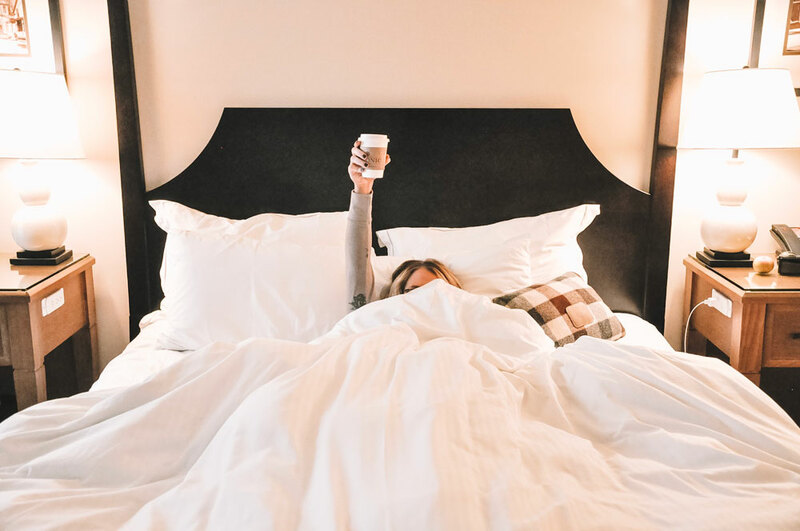 Normally I have to take some kind of sleeping aid and wear earplugs in order to fall asleep in a hotel room but not at the Taconic - it was so quiet and cozy, I was out like a light! Shop My PJs Here - They're under $25 and the softest things EVER! 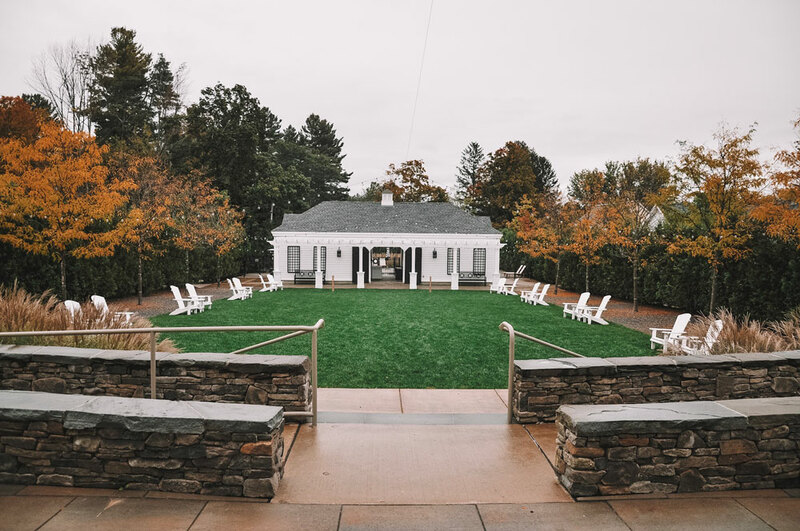 The first thing I saw when we arrived at the Taconic was bistro lights and a giant fire pit....it was love at first sight! 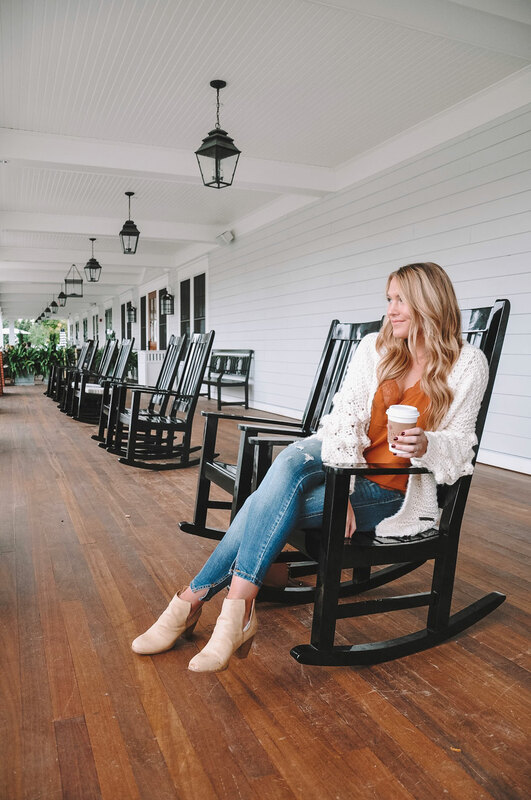 The copper roof, marble sidewalks and giant wrap-around porch filled with rocking chairs were the cherry on top. 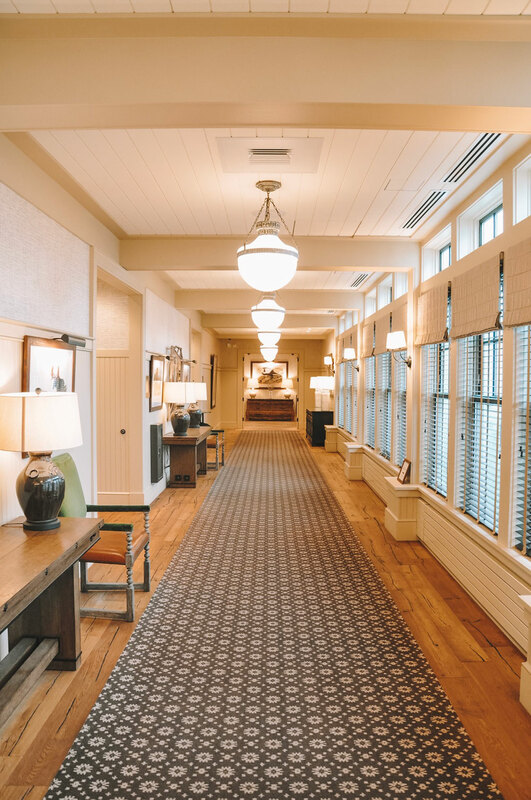 The hotel has a ton of rustic charm but since it is a relatively new property, the amenities and decor are very up to date and high end. It is surrounded by mountain views and, if visiting during the fall, colorful leaves! 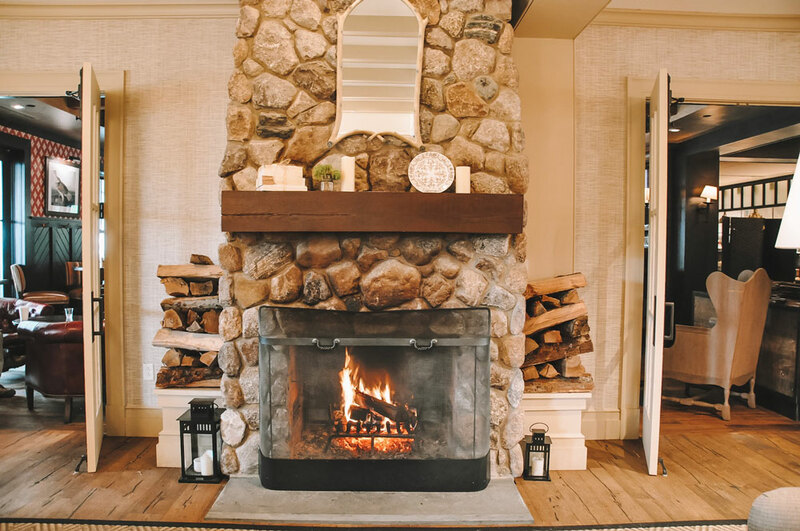 Upon entering, you are greeted with a giant fireplace and a cozy sitting area - it literally smells like fall! Pine, firewood and mountain air......is that a candle? If not, it should be. 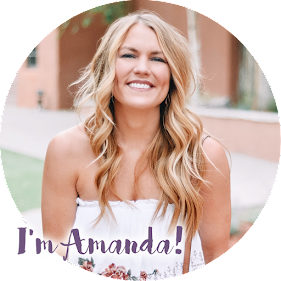 They have coffee/tea in the mornings, fruit infused water throughout the day and a social hour from 5-6 in the evenings. 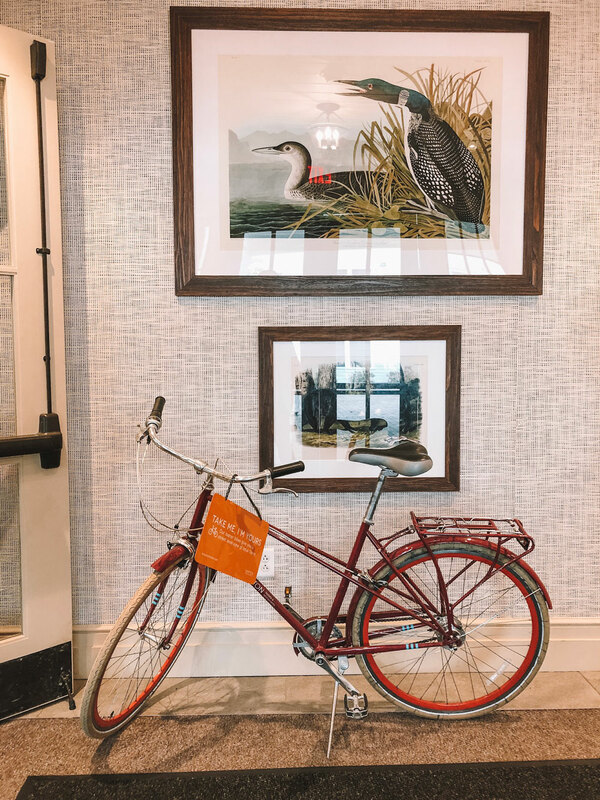 Down the hall you will find a fun boutique gift shop, a library and a 24 hour fitness center. They have an outdoor area filled with yard games and a cute little heated pool that was very quiet and private. They even offer free bike rentals and charging stations for electric cars! One thing I really loved was that they are dog friendly, regardless of size or breed. Obviously Kylo the Mountain Dog isn't much of a flyer so he didn't come with, but he would have LOVED the Taconic! I'm LOL'ing just picturing him sitting on a airplane.....I think he'd need his own seat.... Regardless, even though I left my pups in Oklahoma, it always makes me feel more at home when there are other dogs to pet and love on (and believe me, there were tons)! 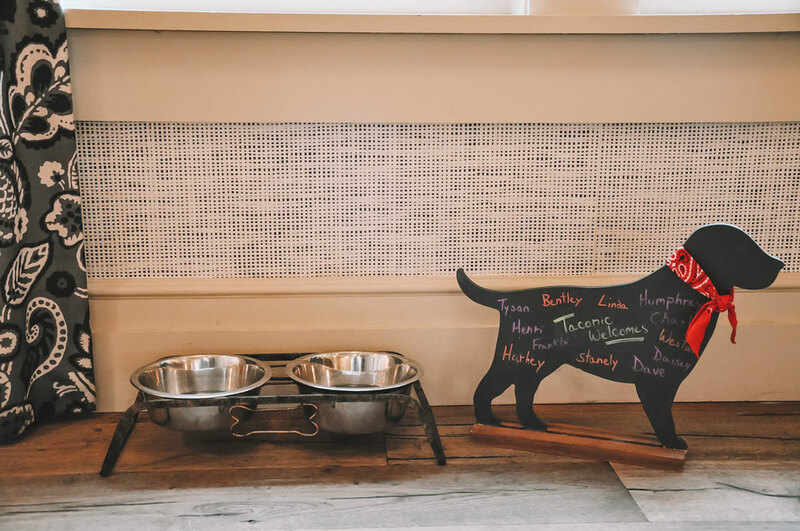 They had water bowls throughout the property, treats at the front desk and furry friends all over. If you're allergic, though, they let you request rooms that dogs have not stayed in. Located right off the lobby, The Copper Grouse serves breakfast, lunch and dinner. They were SUPER busy during dinner hours when we were there, so I'd recommend making reservations ahead of time or just ordering room service if the wait is too long. 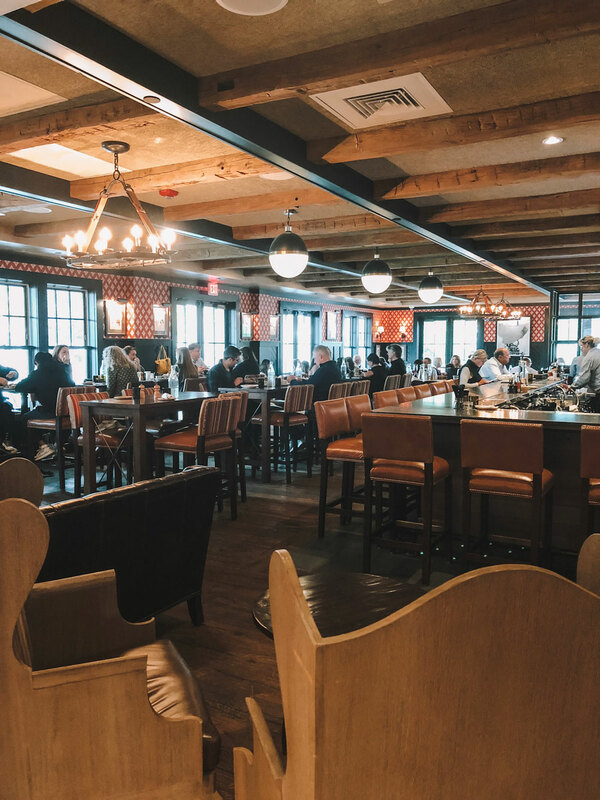 They offered a wide selection of upscale tavern classics complete with Vermont specialities like Cabot Cheese, maple butter and local brews. The restaurant has a bit of a lodge vibe to it and the fireplace just adds to the warm, cozy feel. 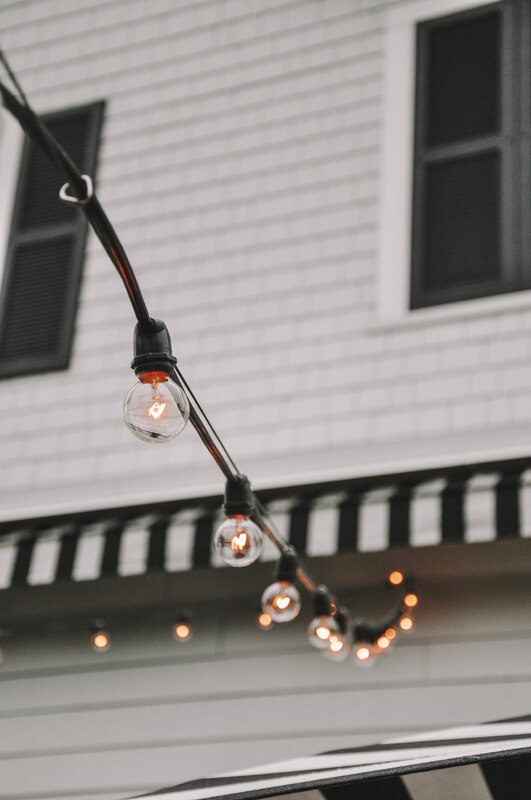 We especially enjoyed ordering drinks from the bar in the evenings and sipping them by the fire pit outside in the crisp mountain air! 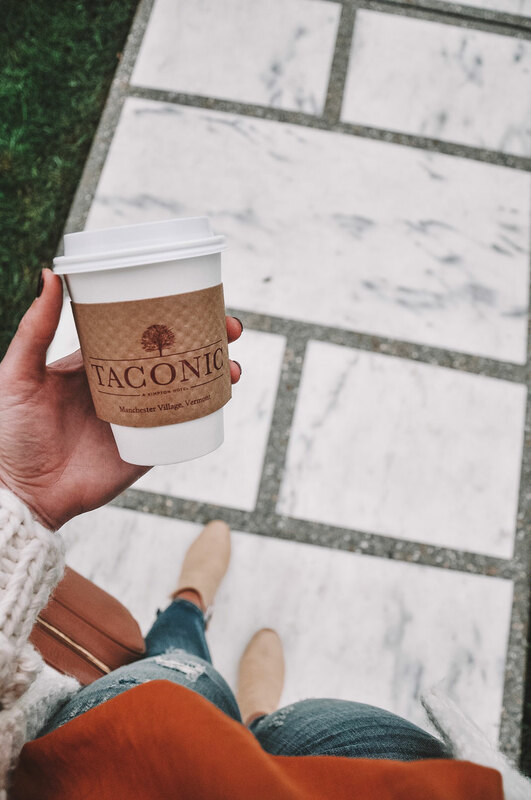 The Taconic is located right on Main Street in Manchester, Vermont. We flew into Albany, New York and rented a car - it was only about an hour and a half drive and a gorgeous one, at that. 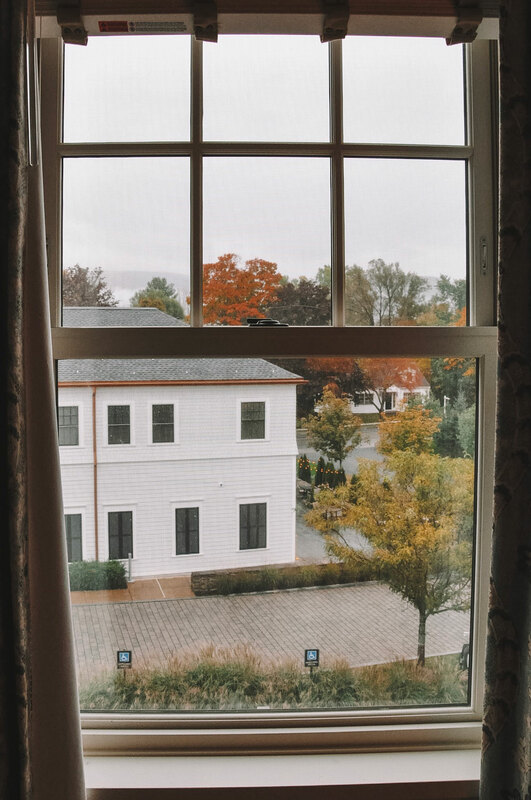 The downtown Manchester area is only a short walk or bike ride away from the hotel and no matter which way you look, the mountain views are phenomenal. Manchester is filled with little shops, local restaurants and designer outlets. We stopped at the Northshire Bookstore, Orvis, Ugg, Apricot Lane Boutique and the Gap, Kate Spade and Crabtree & Evelyn Outlets! If you're into outdoor activities, you're in luck, regardless of the season. Manchester offers hiking, golf, water sports, winter sports, horse back riding and all the fun fall activities like leaf peeping on the Mount Equinx Skyline Drive and visits to pumpkin patches and apple orchards! The Taconic website has some really great info for year round local activities. Manchester and neighboring towns are also heavy in history (President Lincoln's son built his home here, as did my Granddad) and art culture. 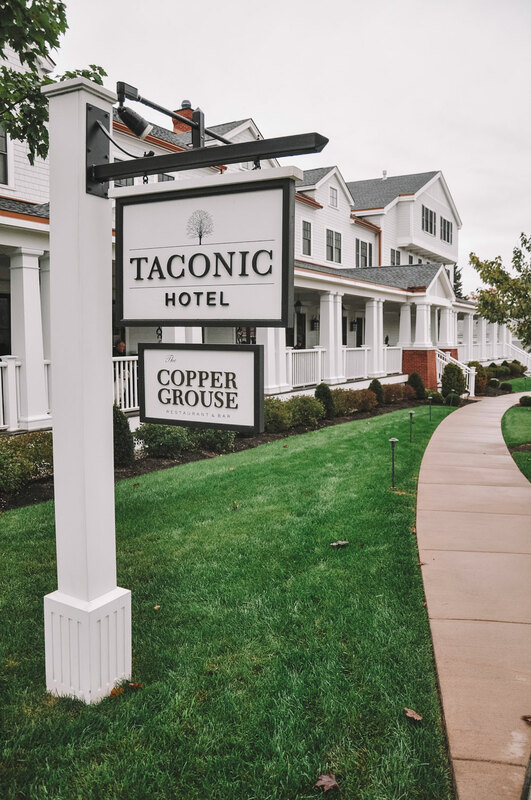 Honestly I could go on forever about how much I loved The Kimpton Taconic! 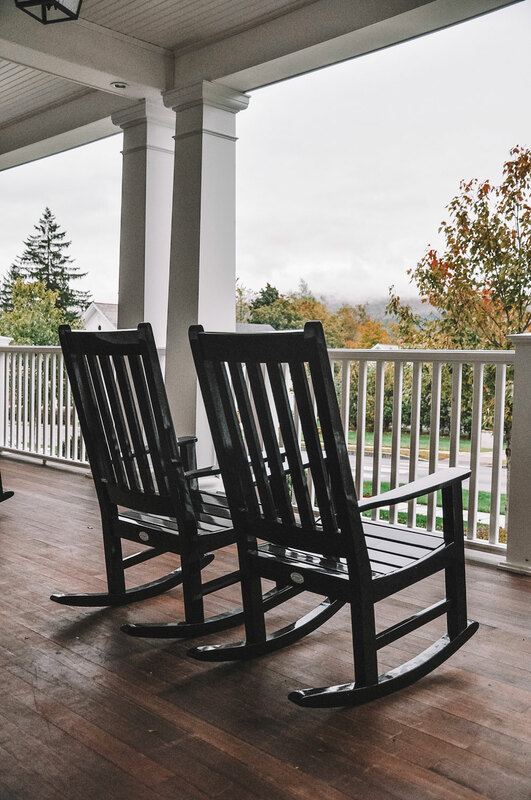 I could have sipped coffee on their front porch for hours on end. My only complaint is that our trip was too short....all the more reason to go back, right?? I'd love to visit during Christmastime, I bet it is equally as magical as the fall, if not more so. 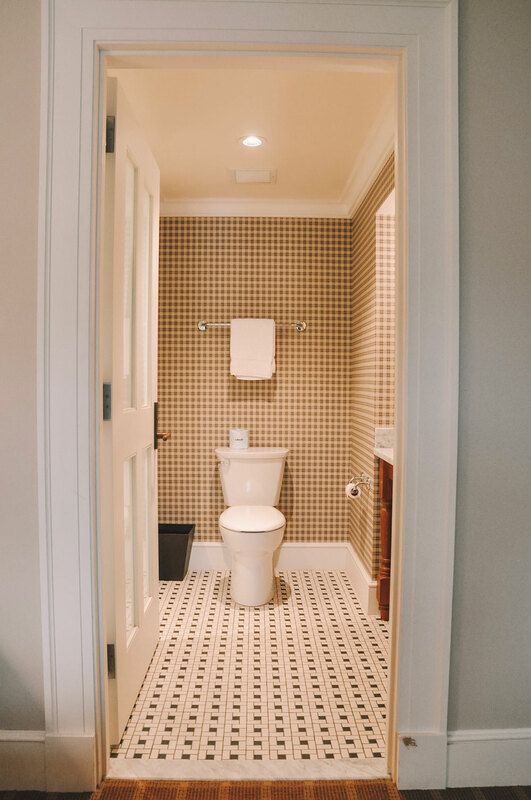 Comment below if you've ever stayed at a Kimpton property - I will definitely be prioritizing them for future trips and destinations.